Image: view from the road below. At the national road 5 (E951) between Ioannina and Artá, 12km north of Filipiáda. About 20m above the road at the foot of an overhanging cliff. Parking on the other side of the road along the road. Brown signs at the cave. Open: no restrictions. 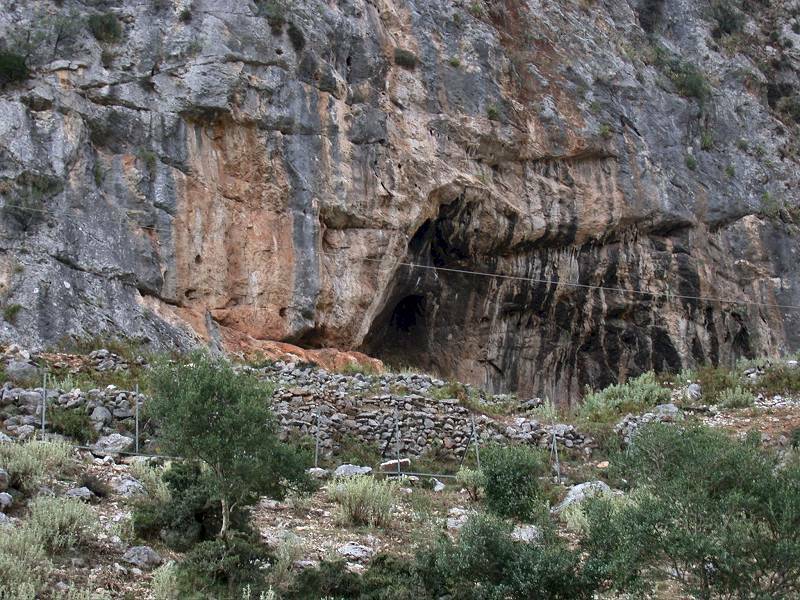 Cave itself closed by a fence. 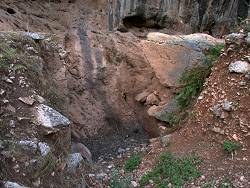 Classification: Karst cave, abri, shelter. Dimension: 25m wide, 5m deep, 20m high. Bibliography: G. N. Bailey, C. Gamble and H. Higgs (1983): Asprochaliko and Kastritsa: Further Investigations of Palaeolithic Settlement and Economy in Epirus (Northwest Greece), Proceedings of the Prehistoric Society 49 (1983) 15-42. 1964-1966 excavated by the British School of Archaeology under the direction of E.S. Higgs. . This rock shelter was in use by Stone Age man from 100,000 years ago to 10,000 years ago. It is supposed, the people followed herds of red deer and wild goat in their seasonal mirgrations between the coast and the hinterland. So they used this shelter only during spring and autumn for a short time, when they crossed this area. 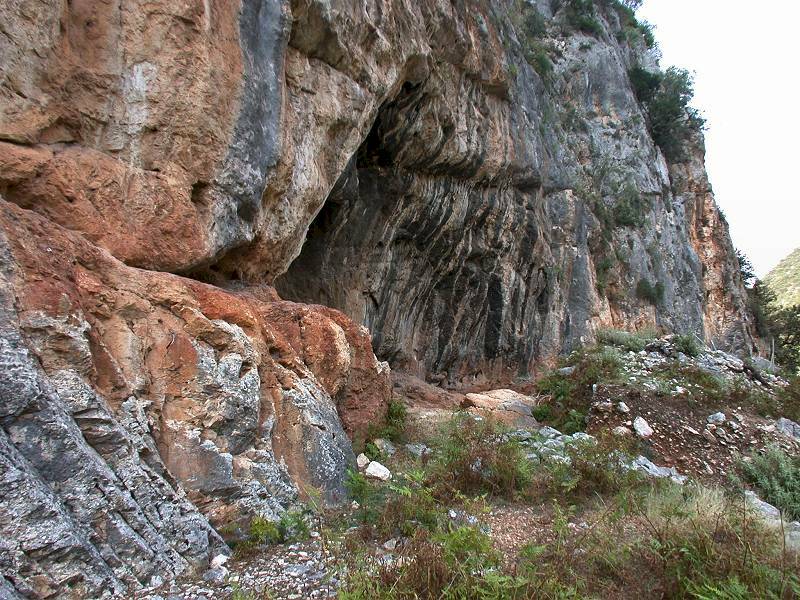 The excavated 6m sequence revealed more than half a million flaked stone tools and fragments of animal bone. The finds were mostly from the Mousterién and the Upper Paleolithic. 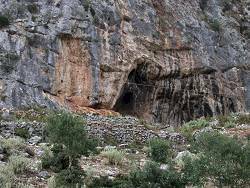 At the time our reviewer visited the cave the gate was broken and it was possible to visit the cave itself. As we are convinced of cave protection, we ask visitors to be very carefull when they also do so. Please do not destroy anything, so further excavations with better methods may reveal additional informations about our ancestors.